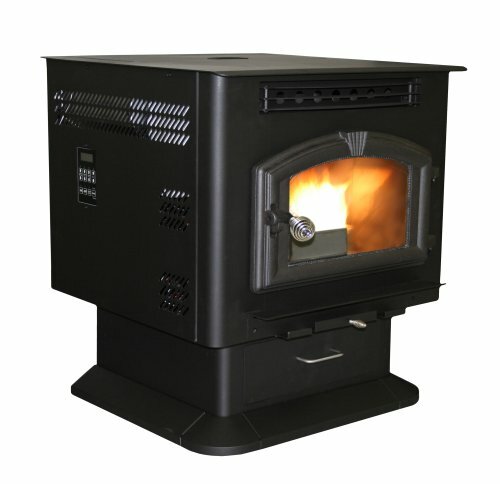 US Stove's 6041 American Harvest Stove is capable of burning compressed wood pellets, and it can also burn corn, soy beans, cherry pits, olive pits, bio mass fuel grains, and processed silage with just a few simple adjustments. The nine heat settings allow the ability to adjust to your heating needs, and nine blower speed settings allow easy adjustment to fit your home. The American Harvest is mobile home approved (with use of Fresh Air Kit, sold separately) and is extremely easy to install. Not available for sale in California.